Upgraded end unit with two private balconies, extra windows with lots of natural light, vaulted ceilings and spacious floor plan. 2 BR & 2 full baths. This home has just finished renovations including new Paradigm ceramic bead waterproof flooring in living room, kitchen and bathrooms, new carpeting in bedrooms, and freshly painted walls. Highly desirable Marbella complex with community pool and spa. 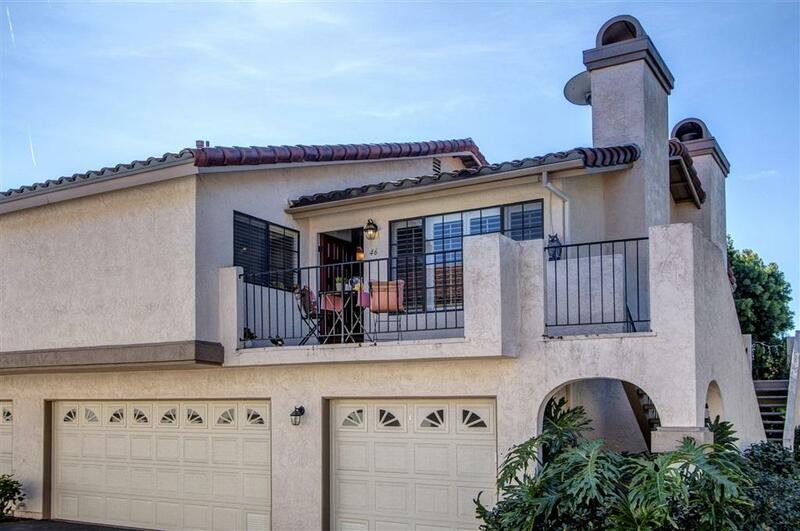 La Jolla Colony has walking paths and greenbelts, and shopping, restaurants, Westfield UTC and UCSD nearby. Upgraded end unit with two private balconies, extra windows with lots of natural light, vaulted ceilings and spacious floor plan. 2 Bedrooms and 2 full bathrooms. This home has just finished renovations including new Paradigm ceramic bead waterproof flooring in living room, kitchen and bathrooms, new carpeting in bedrooms, and freshly painted walls. In-unit side by side washer and dryer and refrigerator that conveys. 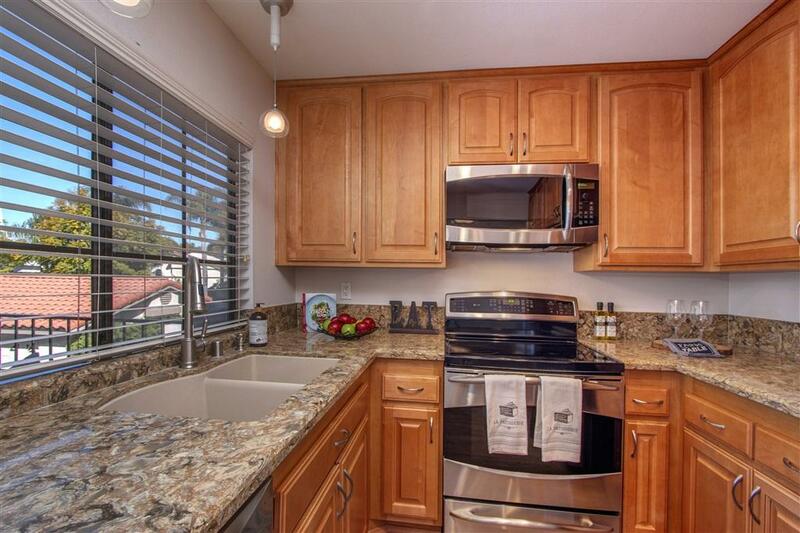 Upgraded kitchen, Silestone counter tops, new stainless steel appliances, ceiling fans, plantation shutters, new fixtures, and master bedroom with walk-in closet with closet organizers, and private balcony. 2 car side by side garage directly under unit with no neighbors above or below! 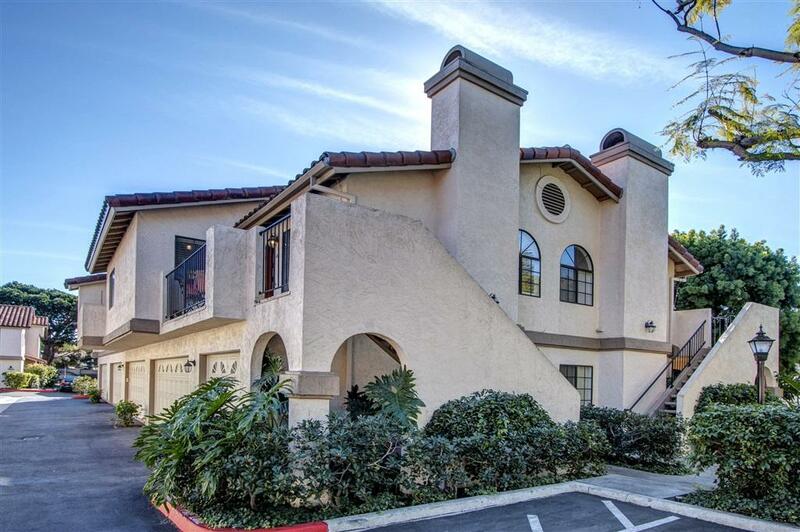 Highly desirable Marbella complex with community pool and spa. 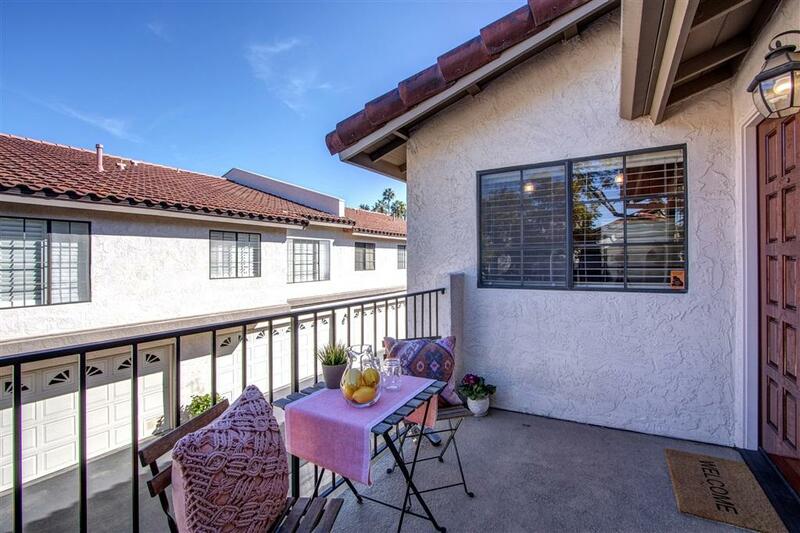 La Jolla Colony has walking paths and greenbelts, and shopping, restaurants, Westfield UTC and UCSD nearby. This is a great opportunity to own a turn-key home in a great location!